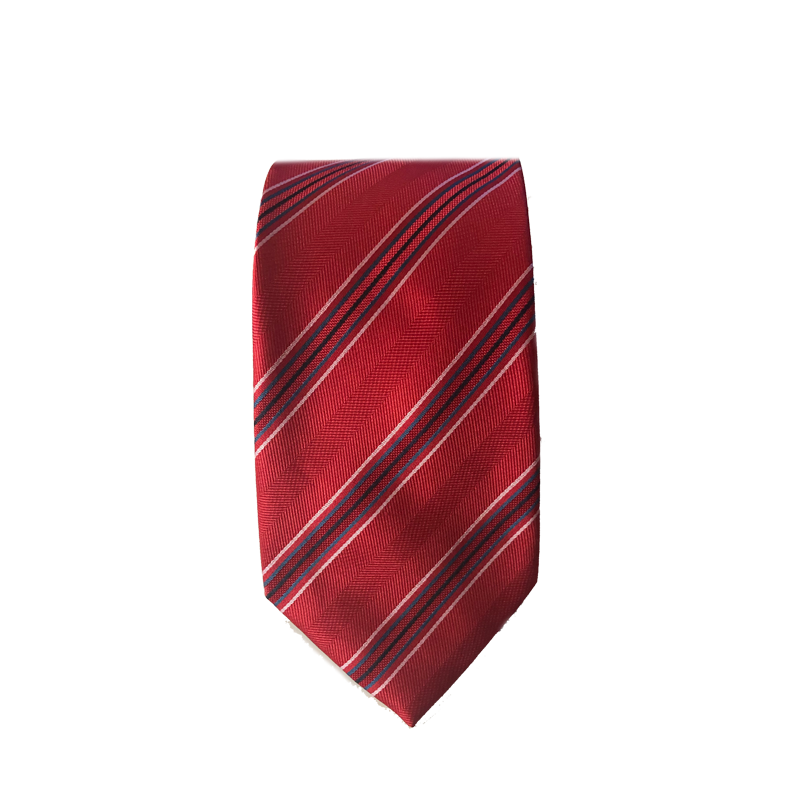 Everyone needs a classy red tie with stripes in their tie collection. Bring this one home. It's got white, blue, and black stripes that contrast perfectly with the red.